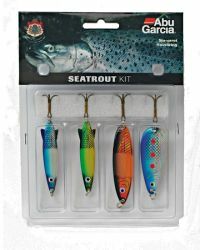 The four best lures for seatrout picked out for you by the experts at Abu Garcia. If you fish for seatrout you'll want to give these lures a try. Lure weight: 10g ~ 1/3 oz. Caught a Sea Trout with the spinner. Not tried these out yet but look good value and right colours.